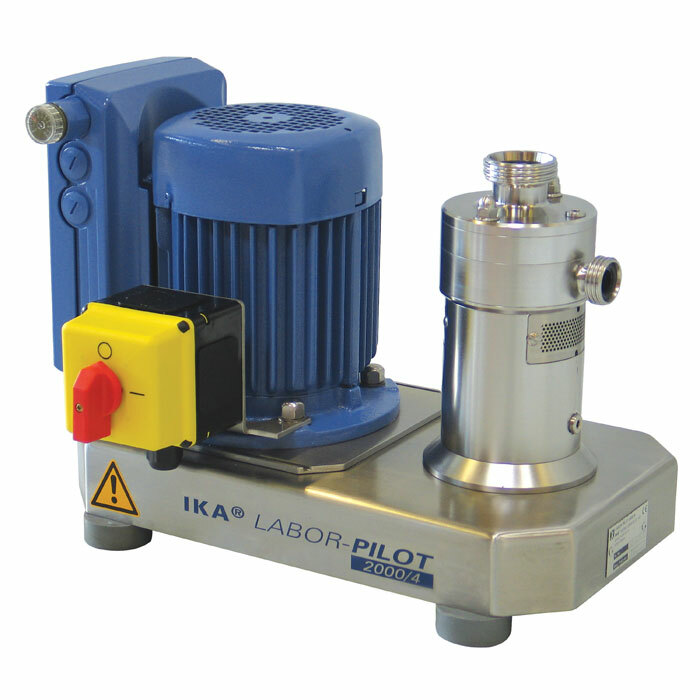 The LABOR PILOT is a compact and multipurpose inline laboratory dispersing machine. It is designed for solid-liquid mixing, homogenizing, emulsifying, suspending and wet milling. 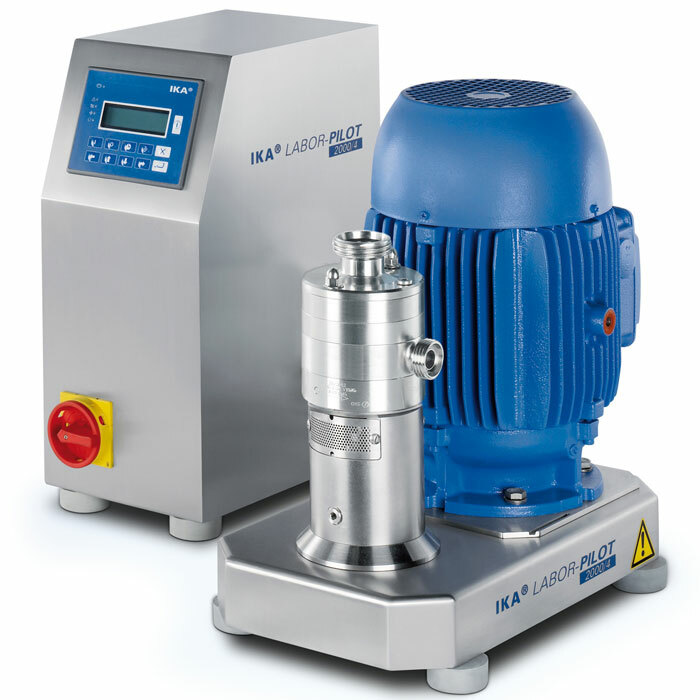 The LABOR-PILOT 2000/4 is suitable for wide range of applications, particularly in the chemical, cosmetic, pharmaceutical, plastics, colors and food industries. It is uniquely designed with the advance technology and is available with six interchangeable modules. It can be customized to fit particular procedural demands. Important process parameters such as circumferential speed, tools and mixing chamber geometry are structurally identical to those of the IKA 2000 inline production machines: UTL, DR, DRS, MHD, MK and MKO. Therefore, the LABOR-PILOT ensures a reliable scale-up by offering the possibility to work with the same method from formulation development to mass production. The basic inline machine is equipped with the single-stage dispersing module ULTRA-TURRAX® UTL. It is best suited for batch applications and can be adapted for the manufacturing of dispersions from coarse to fine. 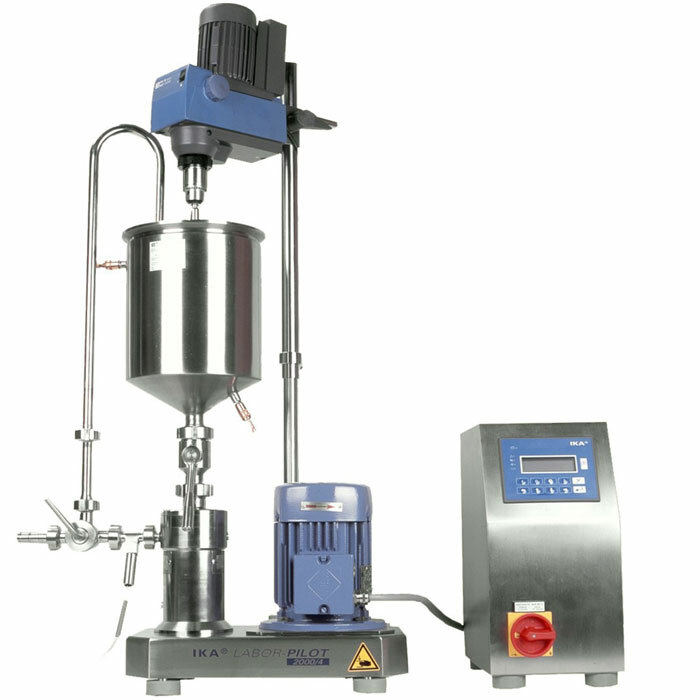 Compared to a conventional stirrer, the mixing time is reduced by up to 50%. Depending on the application, the basic unit can be modified quickly with different working modules. The module DISPAX-REACTOR® DR converts the LABOR-PILOT into a multi-stage high capacity dispersing machine for fine particle size reduction. With just one pass, the module DR does typically achieve fine dispersions with an extremely narrow particle size distribution. It also guarantees an optimum homogeneity, which is an important pre-condition for the long-time stability of emulsions or suspensions. The module MHD is designed for a fully continuous incorporation of powders into liquids. By use of this module, the mixing relation of solid and liquid should be volumetrically or gravimetrically controlled. Depending on the product characteristics, dispersions with viscosities up to 50 Pas or solid contents up to 80% can be achieved just after one pass. The modules Colloid Mill MK and Cone Mill MKO are used for wet or fine milling of hard and granular raw materials or for the production of finest emulsions as well as for improving of quality of finished dispersions. The MK module consists of two cones with differently directed flow channels on their surfaces. The cones can be shifted against each other to a minimum distance, thus varying friction as well as flow capacity. By adjusting the milling gap, the achievable particle size can be controlled. The MKO module works on the same principle as the MK module except the outlet area of its cones is coated with abrasion-resistant tungsten carbide. This results in an enlarged friction surface that enables to produce even finer suspensions at reduced flow. 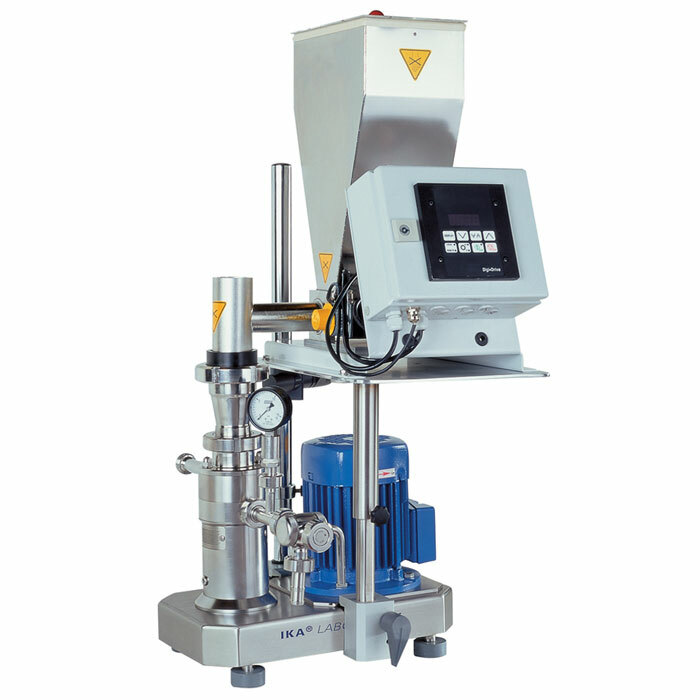 The laboratory dispersing machine LABOR-PILOT 2000/4 can be upgraded to a high-speed dispersing machine with the LABOR-PILOT-CONTROLLER. 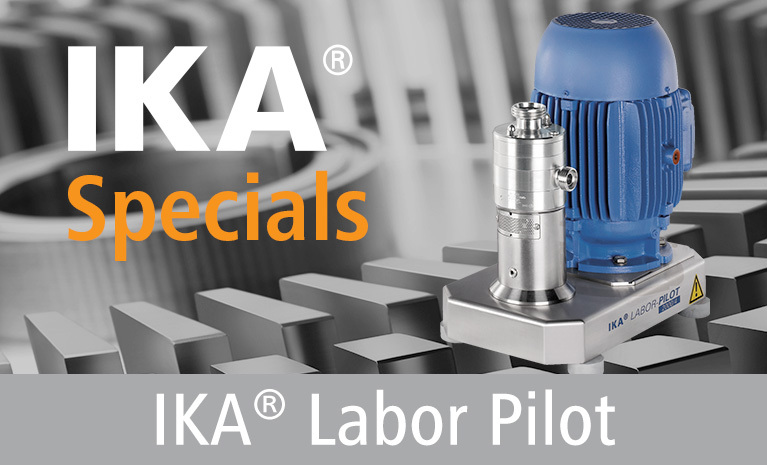 The LABOR-PILOT 2000/4 differs from the alternative PROCESS-PILOT 2000/4 machine due to the applied seal technology and two additional process modules for powder entry in recirculation mode. For working under pressure/vacuum and with elevated temperatures or abrasive materials, we recommend the machine PROCESS-PILOT.